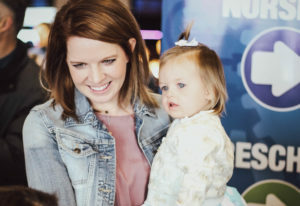 New Life Church is all about connecting with God and with one another. We invite you to join us on this journey. New Life Church is full of life, creativity, friendliness and encouragement. It’s a church where everyone is welcome. Our services feature a live band that leads in worship and a Jesus-centered message by one of our pastors. The entire service lasts about 1 hour and 5 minutes. Following each service, stop by our 7 Minute Party located in the lobby. Enjoy a cup of coffee and a pastry and meet several of our pastors and leaders. We look forward to meeting you! God has called each of us to use our gifts and abilities to serve others. When you serve, you are blessed with great joy and you grow spiritually. At New Life we encourage everyone to be a part of attending one service and serving during another. At New Life our commitment is to love you where you are and journey with you to the center of God’s will.